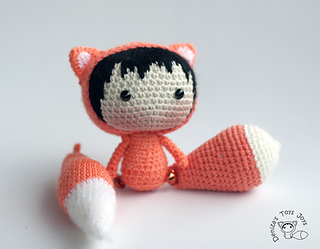 > Fox Doll with removable tails. 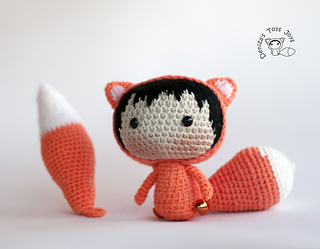 Fox Doll with removable tails. 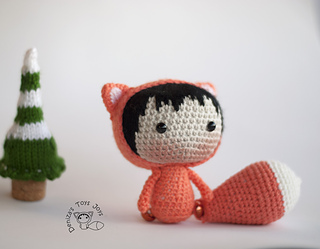 The finished doll is approximately 4 inches (10 cm) tall. 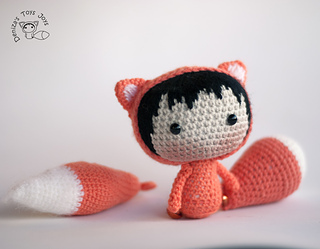 Orange Fox Doll with removable tails. Tanoshi series toy. The tail can be fixed in three positions with buttons. 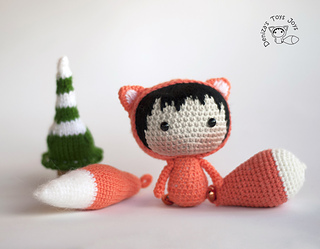 Sweet and funny crochet toy.